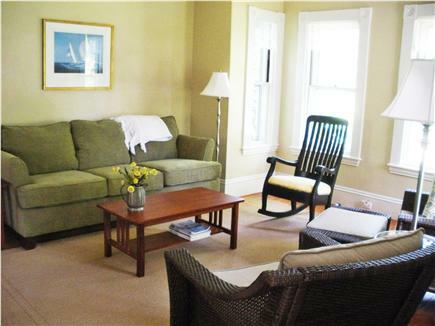 This lovely, immaculate, home is ideal for a family vacation in one of Cotuit's best locations! 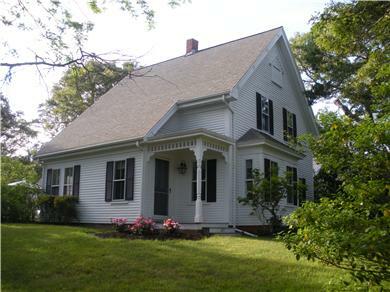 It is nicely situated between several Cotuit beaches and the village. Enjoy the relaxing atmosphere set back on beautiful Main Street. Perfect place for morning walks and bike rides. 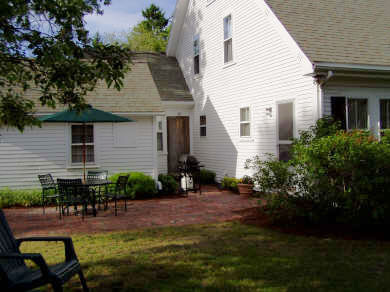 Convenient to all that Cotuit has to offer. 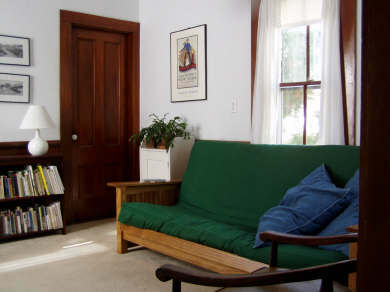 The first floor has a sunny comfortable living room, dining room, a fully equipped eat-in kitchen, den with futon couch, bedroom with a queen bed and a full bathroon with washer/dryer. 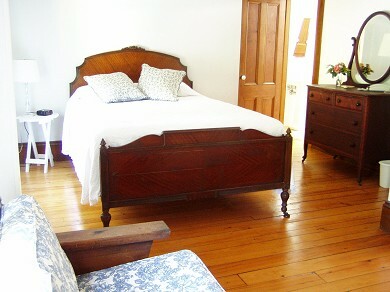 The second floor has two spacious bedrooms, one with a queen bed, the other with three twin beds. 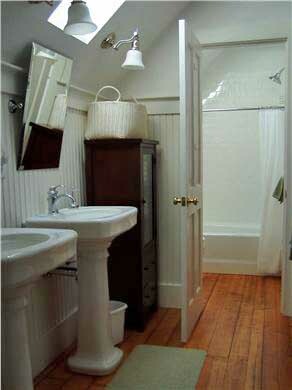 There is also a full bathroom with two pedestal sinks. Hardwood floors throughout. New central air conditioning and heat! Large private brick patio, exterior hot/cold shower on 3/4 acre in a tranquil setting. Gas and charcoal grills. Beach sticker for ALL of town of Barnstable's 14 wonderful beaches provided. Linens and towels provided. Walk to Loop Beach, Riley's Beach, the library, town dock, the post office, Kettle-ho Restaurant, the town playground and the 9 hole local golf course. Bike to the Cotuit Kettleers baseball games of the famous Cape Cod Baseball League at Lowell Park! Mashpee Commons, with its many restaurants, entertainment and 90 upscale shops, is only 3 miles away. 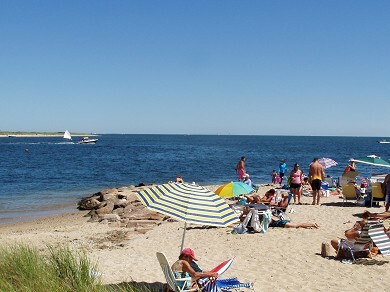 Cotuit is on Nantucket Sound halfway between Falmouth and Hyannis and only 20 minutes from the Sagamore Bridge. Additional pricing info: Departure cleaning fee: $150, State and local taxes of 14.45% will apply. We have stayed here several times and it always exceeds our expectations. 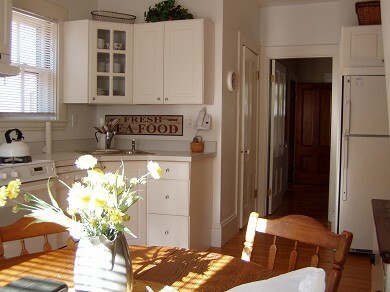 It is charming, clean, conveniently situated, walking distance to beach. We will definitely stay there again. I would certainly recommend this to a friend.